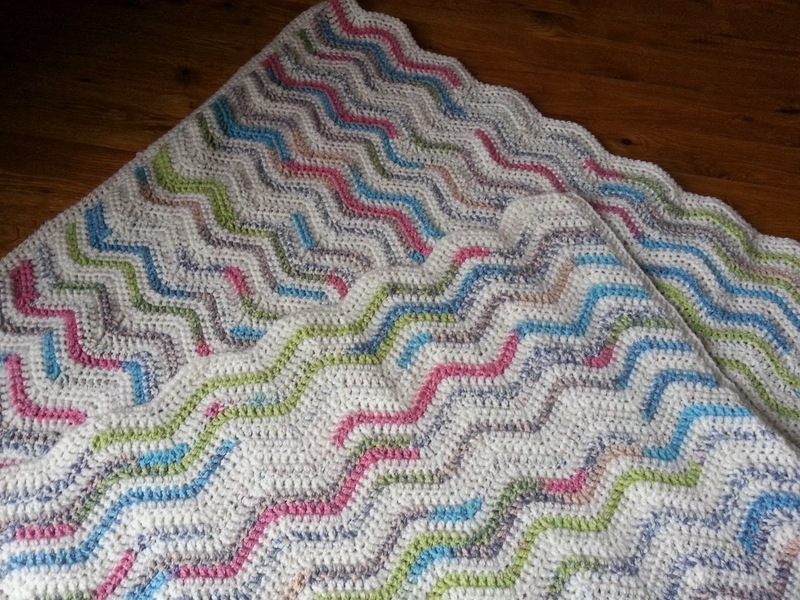 I expect most of you will be familiar with this ripple pattern, it's by Lucy at attic24 and is a total pleasure to work. 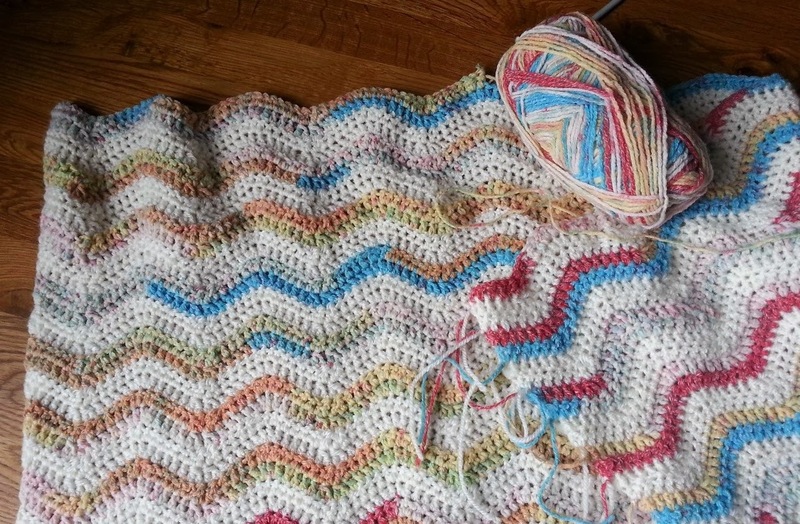 It is not my first ripple blanket by any means but it is my first using this Sirdar Crofter. I've seen some fabulous creations with Crofter so just had to have a go. Very pleased with how pretty it turned out, so pleased in fact I am making another one! I absolutely love rippling! I can get lost for hours in row after row of trebles and the good thing about this yarn is that just when you are getting bored of it it changes colour. Smashing stuff.